Muzaffar al-Dīn would get up such acts ranging from engaging and promoting music and musical instruments, gathering Qawalī gatherings, dancing, oppressing his people etc. 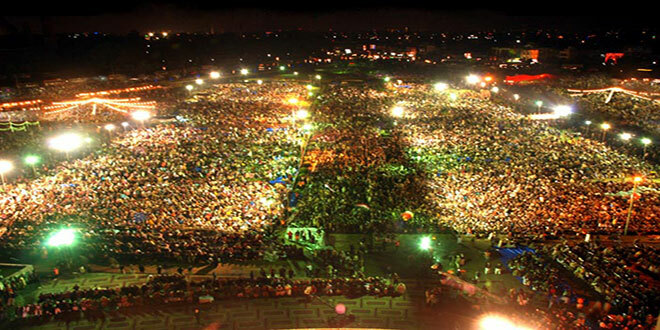 The Milād gatherings were organised under such pretences and under such anti-Islamic atmosphere. These gatherings also commonly known as Mehfils were not based on anything from the Qurān or Sunnah but rather everything that was organised was totally contradictory. Muzaffar al-Din inadvertently advocated and pushed the ideas of Wahdah ul-Adyān ie the unification of religions. He attempted to push the concept of syncretism ie synchronising the different religions as well as pre Islamic practices. 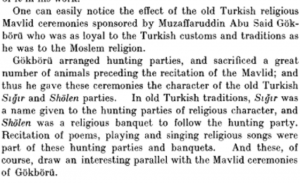 This clearly shows how pre Islamic Turkish custom and practices were utilised introduced with other innovations to be something praiseworthy and rewarding, however they are pure innovations. 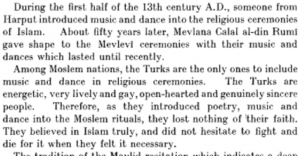 In current times the Mawlid or Milād celebrations have become more heretical with the extravagant lighting, the music and dancing which is very much open without any shame of the vulgarity. This is evident from some of the videos on youtube. Jalāl al-Dīn Rūmī was also instrumental in pushing the idea of the Mawlid. He was famous poet and Sūfi Master who was the Sūfī patron of the Melviyyah (Mawlawi) who often referred to as the whirling dervishes. 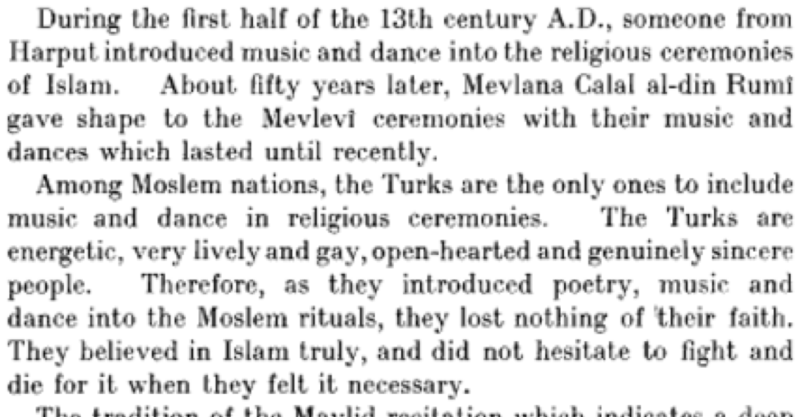 They believed in making zikr and dancing at the same time which is known as Sama in Sūfī terminology. Thus, during the Mawlid or Milād season, you will find heavy involvement of music, clapping of the hands to create sounds and rhythmic beats, drums and tambourines. In other parts of the world professional singers and musicians are hired for the festive to play religious esoteric trance type of music, commonly known as Qawalis. Most of the ardent and staunch supporters of the Mawlid hail from the sub continent and whilst settling in the western world, they have progress and evolved in such an alarming rate that they forced us to produce more Mawlid papers. Highlighting the regression of these people, in the western world Eid Milād al-Nabī was unheard of. There were no lights, no processions and no such gatherings. Such practices were unheard until recently in the last 5-10 years. This yet again is another outright evidence and reality that Mawlid and Milād celebrations are clear innovations.